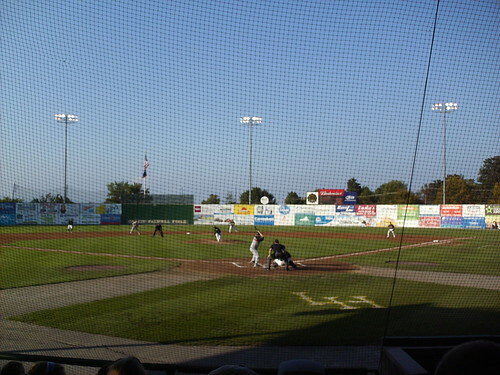 The view from behind home plate at Calvin Falwell Field. 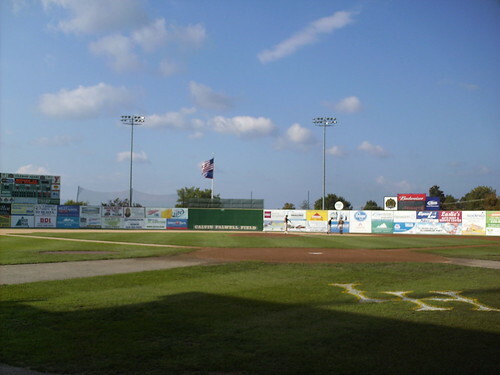 The view from down the third base line, looking toward the auxiliary scoreboard in right field. 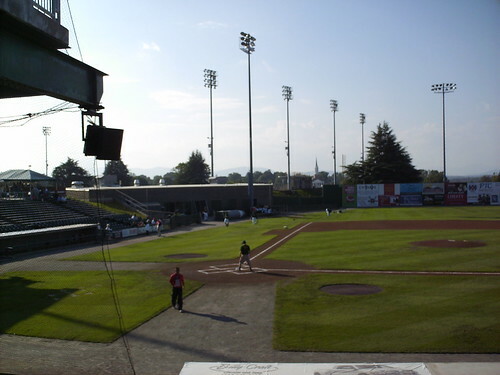 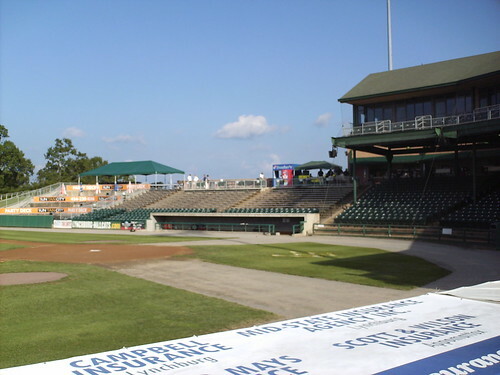 The grandstand at Lynchburg City Stadium. 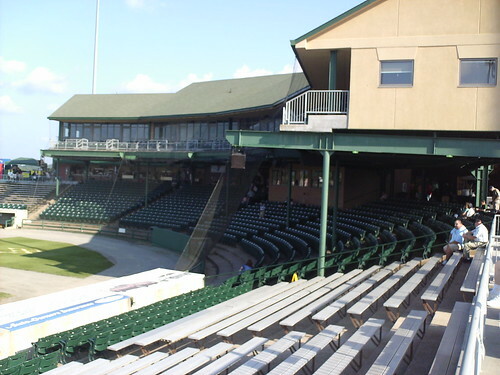 The renovations in 2004 added a suite level building on top of the classic covered grandstand structure. 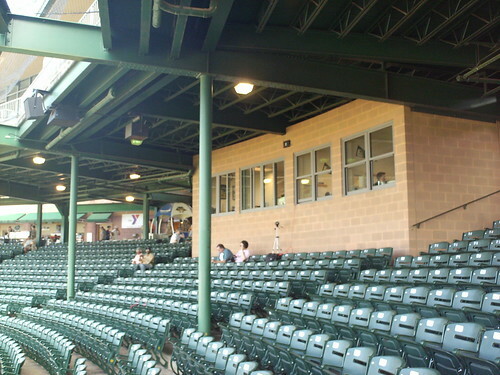 The pressbox still sits within the seating bowl, rather than being moved to the suite level during renovations. 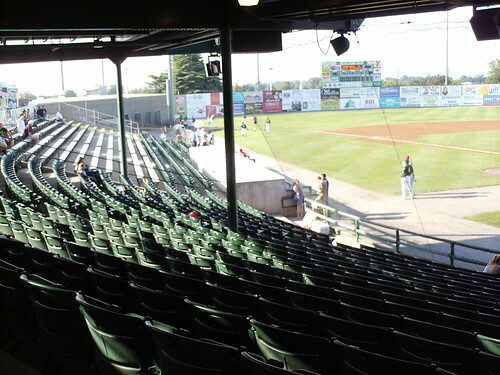 The grandstand features long rows of general admission seats, with only a few rows of reserved seating behind each dugout. 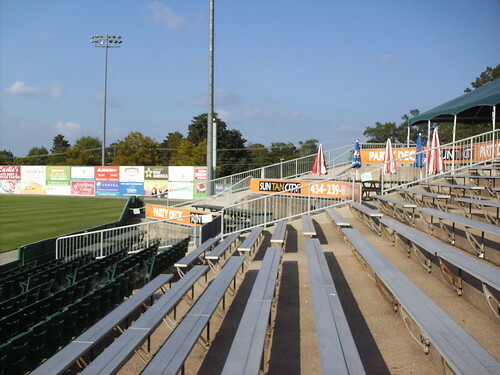 Bleachers run down the first base line, leading to the tiered party deck in the right field corner. 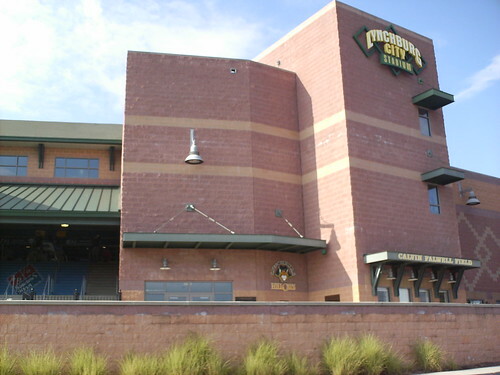 The clubhouse runs right up against the field, leading to a short walk out for the home bullpen pitchers. 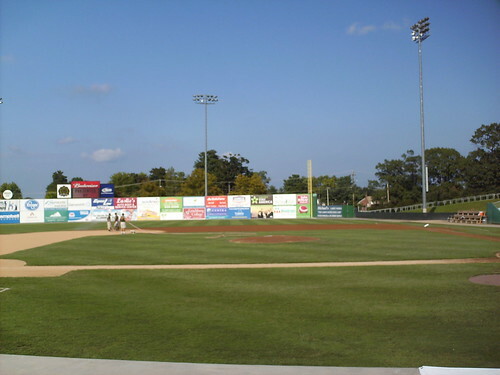 The playing field slopes downward from the plate, creating a small hill leading to the backstop. 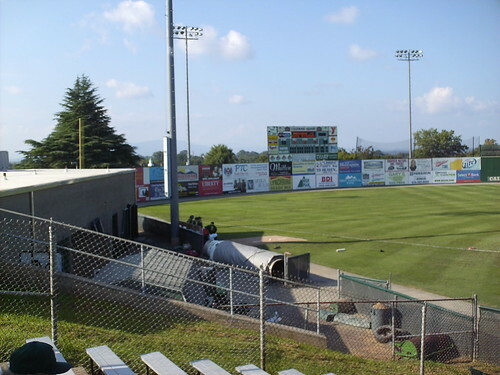 The buildings of downtown Lynchburg are visible beyond Lynchburg's city football stadium. 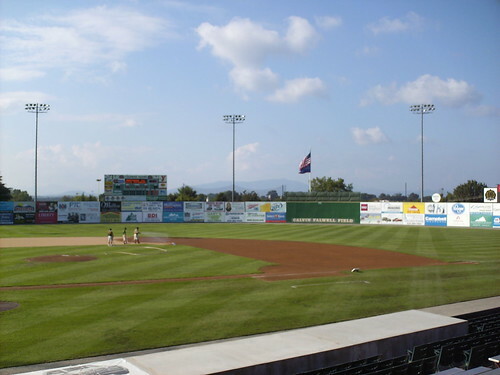 The Blue Ridge Moutains are visible beyond the outfield fence. 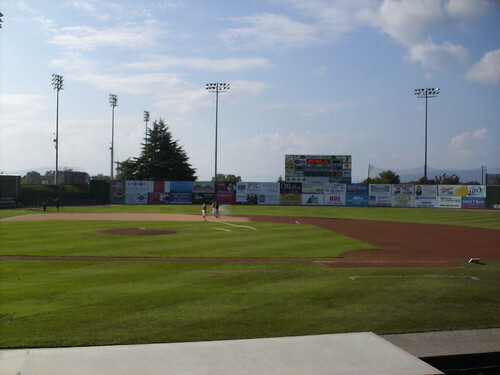 The Lynchburg Hillcats on the field during a game at Calvin Falwell Field.